When the Return to the Isle of Dread continues this weekend at TotalCon 30, it will be playing under the banner of Dark Phoenix Events. Operated by good friends of mine, DPE is an honest to goodness business designed to provide high quality gaming experiences — not just at conventions, but at private venues as well. The folkks behind it are not just wonderful people and hardworking Game Masters, they are dedicated professionals that want to provide the best experience for your money. Don’t believe me or think I’m biased? That’s okay. Come to TotalCon and play in any one of the number of games DPE will be hosting there. Aside from my own ongoing Dungeons and Dragons 5th Edition hexcrawl, there will be immersive cosmic horror and more from Andre Kruppa, comedic horror and more from Nik Palmer, strange mystery and more from Jason Marcure, sci-fi horror and more from Alexander Jackl, steampunk action adventure and more from Scott Legault, Firefly adventures and more with Sean Murphy, super-heroic adventure with David Clarkson, and Star Wars themed Fiasco from Petra Jackl. A number of those GMs are winners or runners up for the Northeast Regional Iron GM competition. Conventions are great places to find new games, meet new friends and hook up with new polayers. This wonderful group of folks that make up Dark Phoenix Events are friends I met at TotalCon and with whom I fell in love with long before Scott and Petra decided to kick off this business. They are all great folks and even if you don’t ever think you will want the services of DPE, you should sign up to play with them because they are just that good. See you at TotalCon 30! Cute, ain’t he? It’s like the smoke monster from Lost and Krumm from Ahh! Real Monsters got it on and had themselves an abominable baby boy. Since I went to all the trouble of trying not to fall asleep, I figured I might as well stat the little darling up for Dungeons and Dragons 5th Edition. Cloud Form The ravenous cloud can pass through spaces occupied by other creatures and stop there. 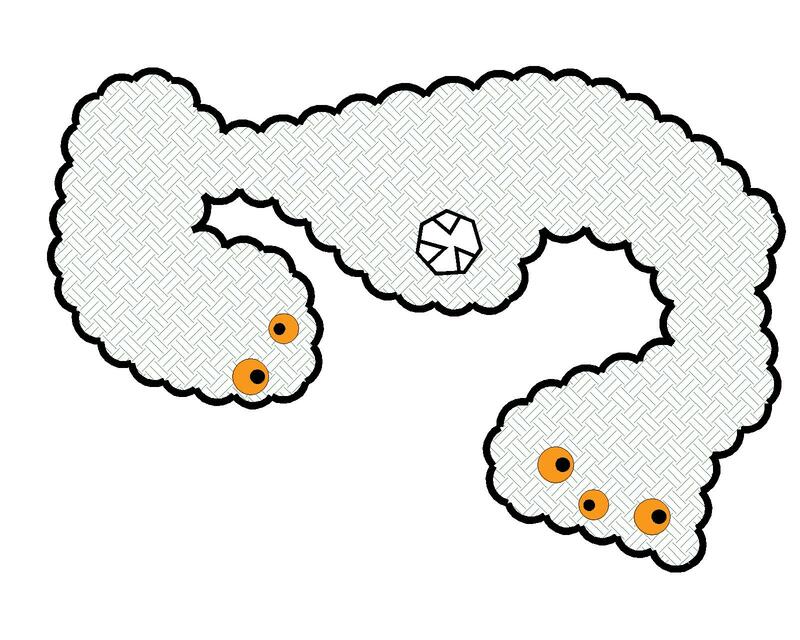 Any creature within the cloud’s space has disadvantage on any ability checks and attacks that rely on normal sight. It can also pass through openings as small as 1 inch in diameter. Multiattack The ravenous cloud can make 2 slam attacks and one bite attack on its turn. Hailing from the elemental plane of air, ravenous clouds are alpha predators from that windswept realm. On their home plane, their primary prey are invisible stalkers and even when found on the Prime Material they prefer that above other meals. As their name implies, though, ravenous clouds are constantly hungry and will stalk and devour whatever they can. Unlike invisible stalkers, ravenous clouds are not easily summoned and bound by spellcasters. Sometimes an attempt to summon an air elemental goes awry and a ravenous cloud appears, usually attacking and devouring the summoner. More often these monsters slip through places where the veil is thin between the plane of Elemental Air and the Prime. They are dumb, hungry brutes with whom negotiation in impossible. They can be distracted with prey of their favored sort, however, and are capable of enough low reasoning to be intentionally redirected in that way. Ravenous clouds are not tactically savvy, choosing enemies seemingly at random but with a strong preference for those that use stealth or invisibility. If there is an invisible stalker within sight of the ravenous cloud’s scan ability, it will attack that enemy regardless of what other threats are present.